Spirituality is intertwined with every day life in India, across all religions. 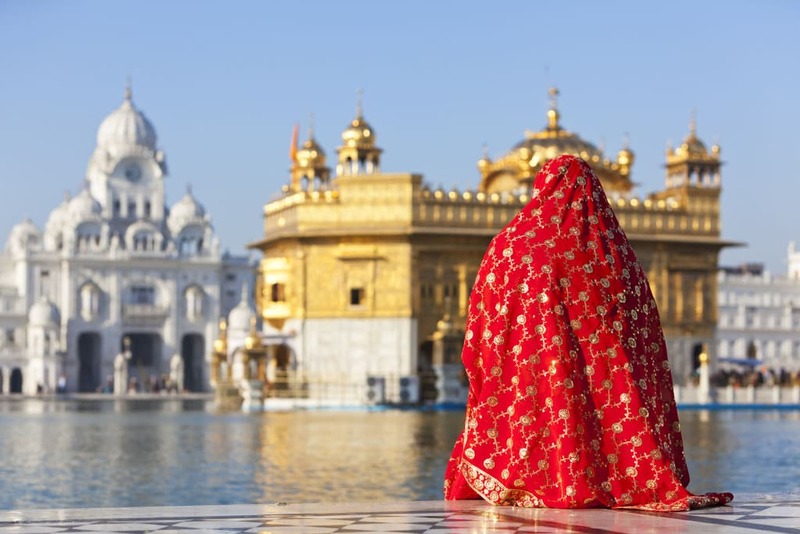 Regardless of whether you are a devout follower or atheist, it’s almost impossible not to be charmed by the devotion and beauty of the country’s many spiritual sites. While there are too many to list them all, here’s some places we think you shouldn’t miss. It’s impossible to mention spirituality in the sub-continent without thinking of the ancient city of Varanasi. 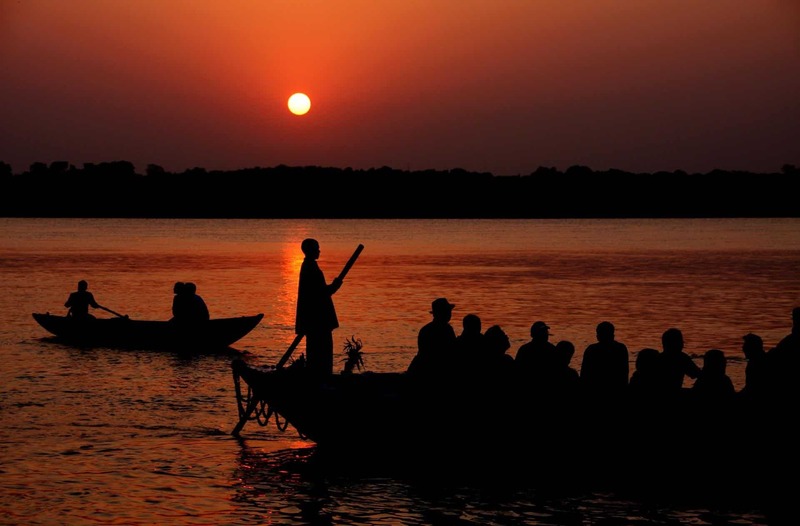 Located on the Ganges River, Kashi or Benares, as it’s also known, is a solemn pilgrimage site. Millions flock here to live out their last days before being freed from reincarnation. From the spectacular Ganga Aarti that lights up the night sky to sailing along the river under the serenity of the sunrise, a peaceful aura fills the air. Everywhere you look, pilgrims are performing their rites of passage along the ghats, at one with their religion. You never forget the first time you catch a glimpse of the brilliant Golden Temple in Amritsar. Despite being surrounded by up to 60,000 people, this temple miraculously remains a place of calm, where one can be left alone with their thoughts. Considered to be the most important Sikh gurudwara, the site attracts pilgrims and tourists, stunning them with its beauty. Sit beside the Holy Pool of Nectar and watch as people cleanse themselves, pray in the inner sanctum of the temple or just be captivated by the brilliance of the golden dome. It is best visited at different times during the day and night, so you can see how the structure changes under the glare of the sun and the moonlight. 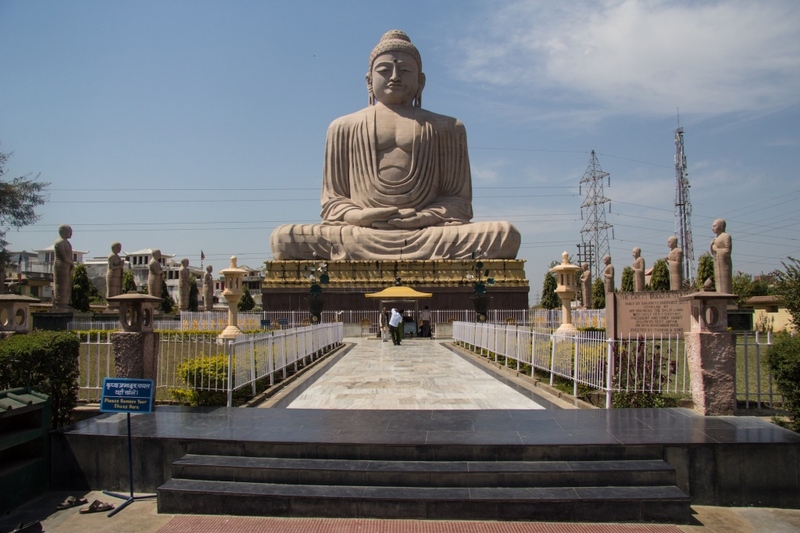 One of the most important Buddhist sites in the world, Bodhgaya is where Lord Buddha achieved enlightenment under the Bodhi Tree. While the Mahabodhi temple is the centrepiece, an exploration of the town quickly proves its position as a spiritual center in India. Buddhist monasteries from different countries across the world are dotted around Bodhgaya, each with their own unique architecture and points of interest. Stop and meditate, walk the various gardens and listen to the mesmerizing sound of Buddhist monks chanting. While it’s not a religious place, the town of Auroville near Pondicherry has its own unique spiritual charm. Established as a community that is owned by no-one, Auroville celebrates and encourages new consciousness, and its centrepiece is the Matrimandir. 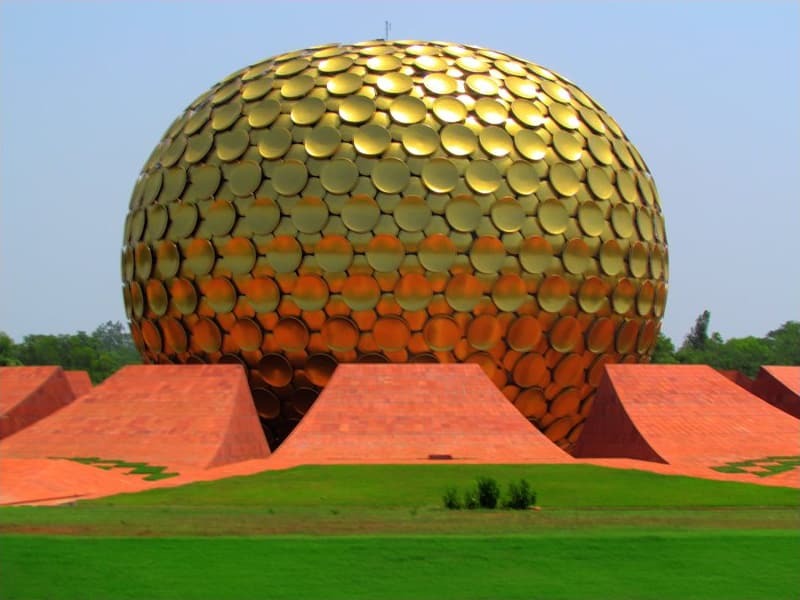 Resembling a giant golden ball, the Matrimandir is a place for meditation not worship. The inner sanctum is brilliant white, to ensure the mind is focused on only one thing. The Matrimandir can be viewed from a platform on a day visit, or you can sign up to take a tour inside, or stay in Auroville for a couple of weeks and experience everything this global community has to share. 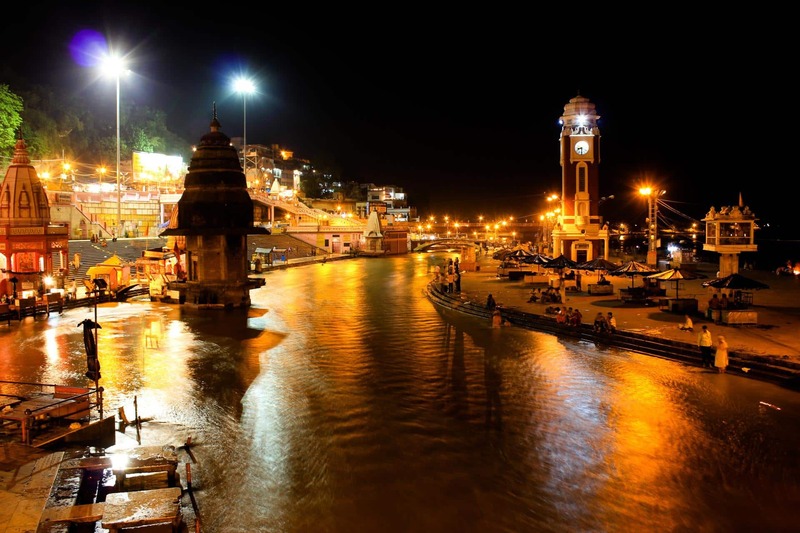 While also perched on the banks of the river Ganges, Haridwar is a very different spiritual experience to that of Varanasi. Located at the foot of the Himalayas, the town has been blessed by all three Hindu Gods, Brahma, Vishnu and Shiva, with the latter leaving his footprint at the most sacred ghat, Har Ki Pauri. In the evening, floating candles light up the river and the dulcet tones of bhajans (devotional songs) fill the air as the Ganga Aarti commences. Every 12 years the Kumbh Mela is also held here, with millions flocking to cleanse their sins.